Floater, or float, frames surround canvas-based artwork with a perimeter gap for a floating look. Both the front and the sides of the canvas will be visible. Each of our steel float frames is hand-made to fit your art. 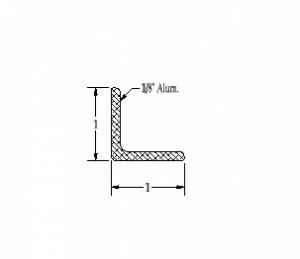 We offer 2 standard profiles, but we can also work to your requirements. 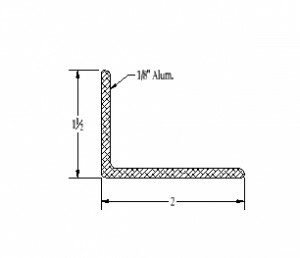 We can not trim the steel profiles, but we can custom order profiles for your project. Attach your art to our float frames from the back side, by screwing into the canvas stretcher. You decide how much “float” is right for your artwork. Steel float frames come with pre-drilled holes in the back leg, to install your art, but no wood liner or hangers. Our welded steel float frames have a raw industrial appeal. They come with a mill scale finish. We can’t control this finish. Sometimes it’s rusty, and sometimes it’s not. We leave the weld bead on the corners. All grinding or tooling marks will remain visible. Each of these frames is unique, and will be impossible to replicate in the future. This uniqueness is part of the appeal of steel float frames.